Netrani Island, also known as Pigeon Island, is a small island located in the Arabian Sea, close to Mangalore in Karnataka. 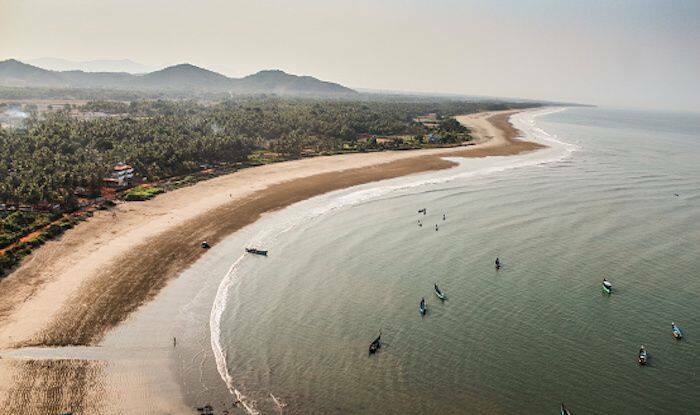 Located in Bhatkal Taluk, this island is just 19km away from the famous temple town of Murdeshwar. As an initiative to develop tourism in the region, fun activities such as snorkelling and scuba diving have been introduced at the island for travellers; and it has picked up and how! What makes it all the more fun is that Netrani, is a beautiful coral island; making it one of the best places in India to explore life under water. In fact, it’s so bounteous and diverse that it can give scuba-diving a run for its money in the Andamans. You’ll get to see everything from butterfly fish, coral, parrot fish, eels and trigger fish in the water here. According to a study, around eighty varieties of coral fishes were found here; some interesting species that can be seen here are fish eagles, sea snakes and mangoose. Since the Indian Government had used this island for army training, you will also find craters and unexploded bomb shells here. But because the target training was affecting the ecological balance of the region, it was stopped by the Government in 2012. It’s not that easy to access the island actually; prior permission has to be granted by the Deputy Commissioner and the Forest Department before you can visit Netrani Island. There are small shrines located on the island, which look gorgeous when they’re lit up. Netrani is also a fishing port where you can find several fishermen at work. Some other attractions you can explore near the island are the Statue Park, Murdeshwar Fort, MurdeshwaraTemple and Venkatapur Temple. The ideal time to visit Netrani island is between December and January. Scuba diving, snorkelling and other water sports are not encouraged here during the monsoons especially from June to September, when the sea is rough making it dangerous for such adventurous activities. Travelling to Netrani Island is easy from places like Mangalore, Goa, Mumbai and Bangalore. Once you reach the town of Murdeshwar, there are boat services available to take you to the island.